Posted on Thursday, April 17th, 2014 at 4:38 pm. Boxing History: April 17, 1909 Joe Jeanette KO 50 Sam McVey, Paris. McVey had Jeanette down 27 times during the course of the FIFTY ROUND fight! 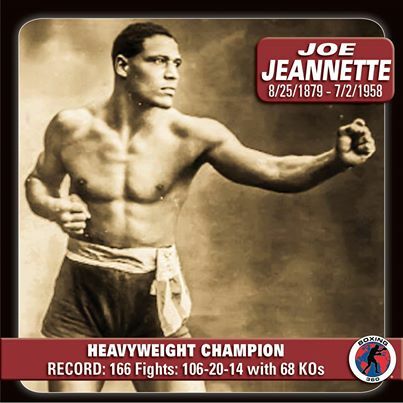 Joe’s most memorable fight occurred on April 17, 1909 in a return bout with Sam McVey in Paris, France that lasted three-and-a-half-hours, and 49 rounds, the longest boxing match of the 20th century, and one of the greatest marathons in boxing history. Although McVey began the fight strong and looked like a sure winner, knocking down the usually sturdy Jeannette 27 times, and almost knocking him out in the 16th round with a right uppercut to Jeanette’s jaw, he weakened greatly by the 19th round. Jeanette took control, knocking down McVey, a boxer (who had only been stopped once in his career, by Johnson), 19 times. After the 49th round, McVey could not rise from his stool at the call of time and Jeannette was declared winner on a technical knockout. This won him the “World Colored Heavyweight Championship,” as Jack Johnson had defeated Tommy Burns for his heavyweight title the previous December. Jeanette retired in 1919 at the age of 40. Of his 166 documented pro fights (he believed it was closer to 400), in a career spanning 1904-1922, Jeanette had 106 wins, 68 of which were by knockout, with 20 losses. Only two of his losses were by knockout, once early in his career and once late in his career. He is rated alongside the very best boxers of his era, including Johnson, Langford, and McVey. 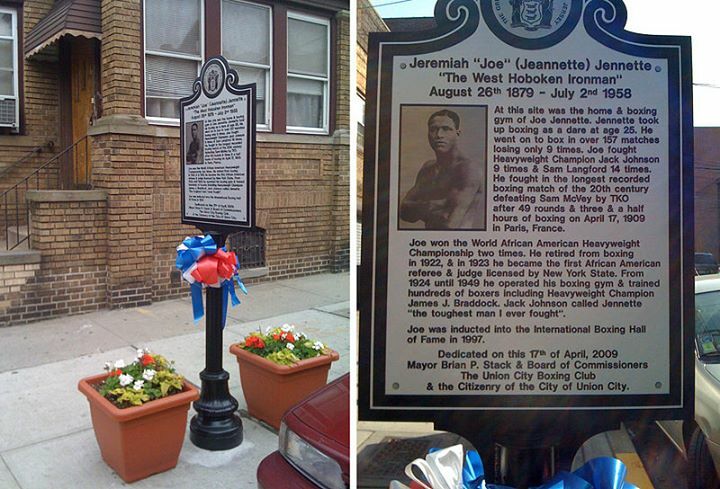 Jeremiah “Joe” Jeannette was born on August 26, 1879 in West Hoboken, New Jersey. Jeanette died in 1958. He is buried in Fairview, New Jersey. 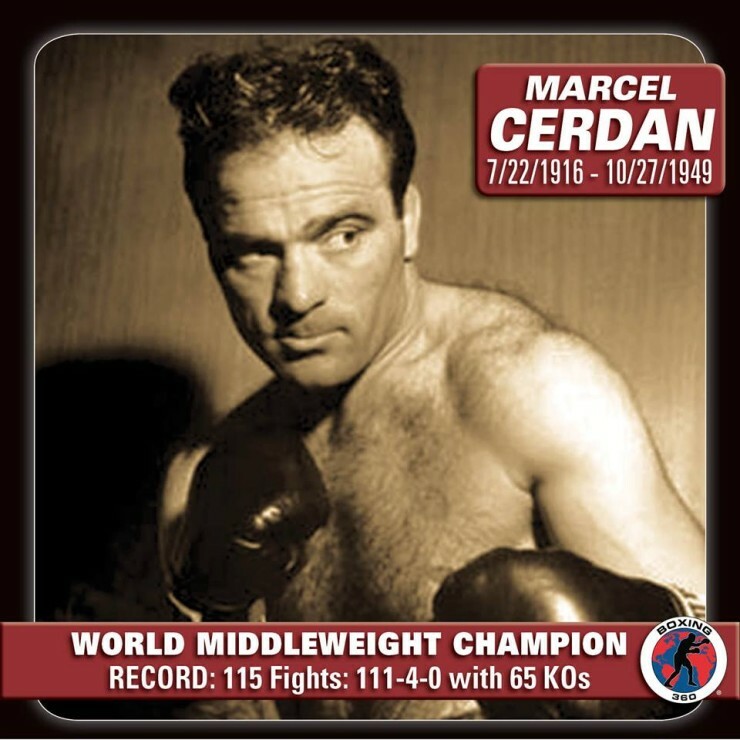 is considered one of the best heavyweight boxers of the early 20th century. Because he was African-American, he was not given a shot at the world heavyweight title, though he did win the World Colored Heavyweight Championship. A historical marker was dedicated at the corner of Summit Avenue and 27th Street in Union City April 17, 2009, where Jeanette’s former residence and gym once stood. It is Union City’s first historical marker.